Can you count one blue whale? Probably. How about 16 lions? Or 44 penguins? Or 100 fairy flies? Tasmanian artist Jennifer Cossins’ 101 Collective Nouns caused an international sensation in 2018 when Oscar winner Anne Hathaway told Ellen DeGeneres how much she and her son loved the book. 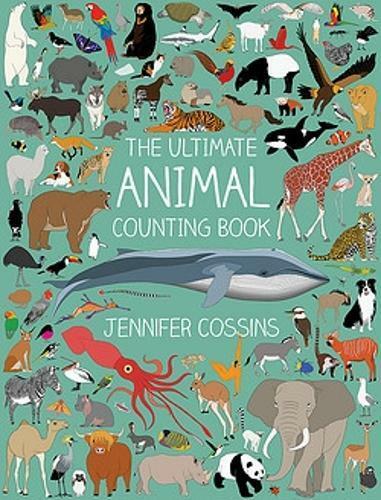 It teaches kids the names of different groups of animals, such as a ‘flamboyance of flamingos’ and an ‘ostentation of peacocks.’ Cossins’ new book is equally animal-filled, but this time she takes us on a journey through fascinating animal facts while teaching children aged 2-6 how to count to 101. Learn about why a tapir’s nose is shaped the way it is, and what colour a zebra’s skin is underneath its stripes, or what cranes are best known for. (Hint: they like to boogie). Cossins’ illustration style is at once so naturalistic yet so fun that you’ll want to reach into the page to pat the beagle and give the Chihuahua a treat.